Okay let me start by saying this.. I’ve spent so many countless hours/dollars looking for that one game on my phone that I feel I can play for years. This is the first Mobile review I have posted, over the past 5 years I’ve spent thousands of dollars on p2w games. Usually games die out or devs give up, don’t listen etc. Even if you haven’t played FF in the past, it is worth your time. There is few and far between when it comes to dev commitment and the customer support you get from the SE team. 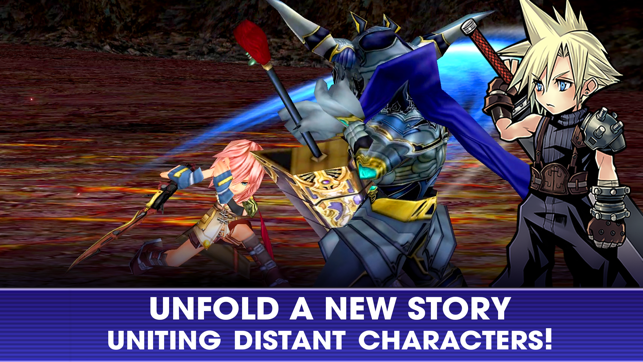 The reason I am writing this review is I consider myself to be a recreation pro when it comes to Mobil rpgs. If it’s been in the top 100 I’ve played it in the App Store. 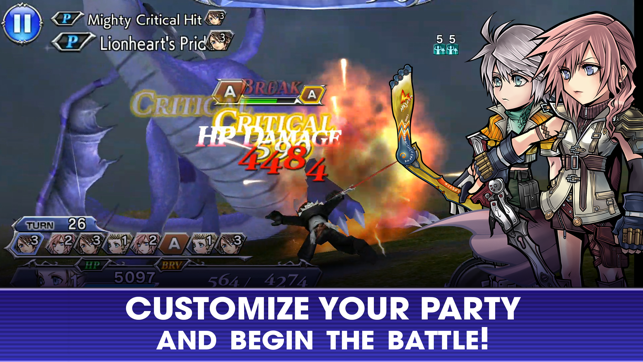 SE add pvp to this game, spend a little on advertising in your target geo/demographic areas. I’m sure people have seen angry birds or some clash “insert name here” type of games advertised on Television. Please do this SE. Take your spot on the rightful throne as kings of the customer relationship business model. These other Mobil apps p2w money grab nonsense. I cannot wait to see how this game plays out. I am honored to have played such an amazing 1.0 version of a game. Because if somehow by version 2.0 there isn’t a million + people playing this game. The Mobil app world doesn’t deserve your passion and presence, thank you again SE.... For all your years of quality service. A great yet interesting game. 4.9/5 realistically. 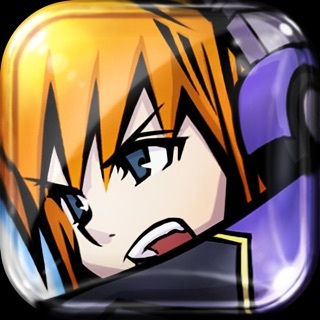 The best JRPG on mobile. Free or Otherwise. When it comes to mobile rpgs, almost every single one encourages you to pay to have a better chance of getting a high ranking character. But I love and miss the system of getting characters through progression. 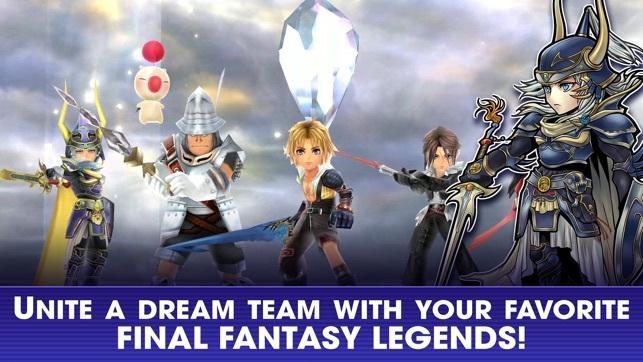 If I’m playing a free Final Fantasy game, I don’t want a chance to get Cloud, I want to get Cloud. The only real thing that there is a chance of you getting is weapons and armor. Unlike spinning a metaphorical slot machine in order to get A 6-Star or Legendary Noctis, you complete a couple of event battles and you get a ... Noctis, the same one everyone else got. You can get a vast amount of character like the aforementioned Cloud and Noctis, but there are others from 1-14 and even Type 0. You get weapons and armor from completing battles and better ones from a sort of loot box. But it never once feels pay to win, especially as there is no pvp. 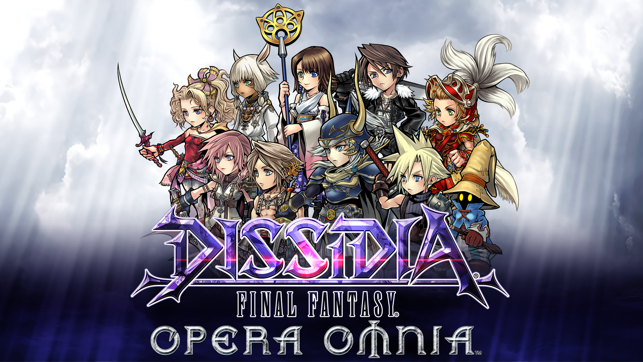 This is, in my opinion, a true full priced JRPG that comes in a free to play package with no need to use micro transactions. This is what you get when you limit break the best Final Fantasy games and level them to the max. If there was a 6 star for rating games, I would give it to this one. 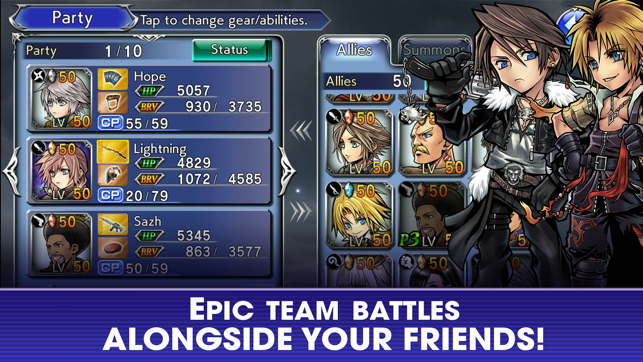 Just please give us iPhone X screen support for the other FF games.